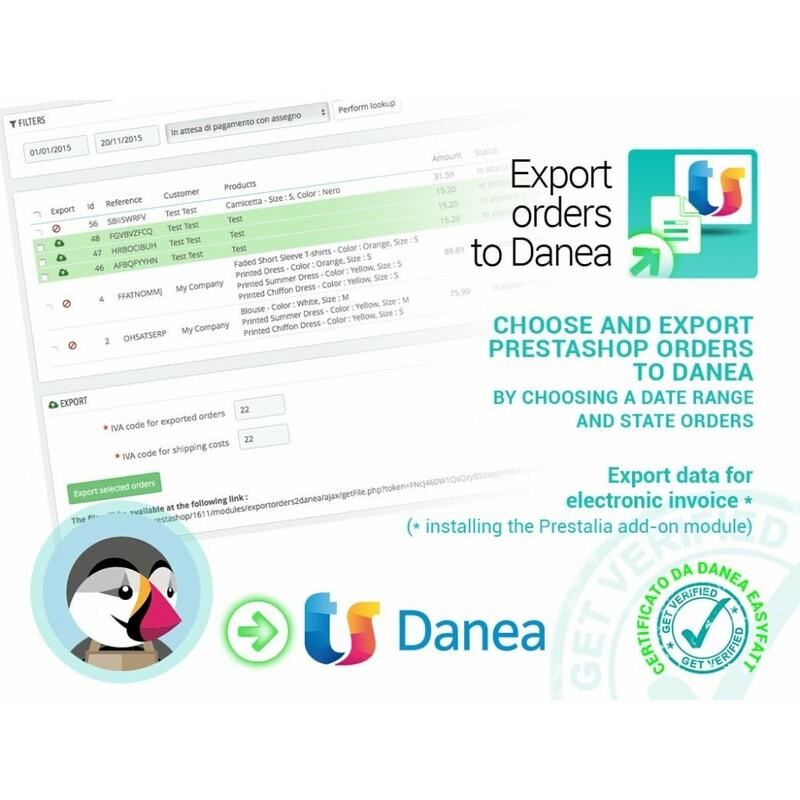 You can choose exactly which export orders choosing the date range and state orders for export to quickly and accurately update of Danea through direct access management or the generated XML file. 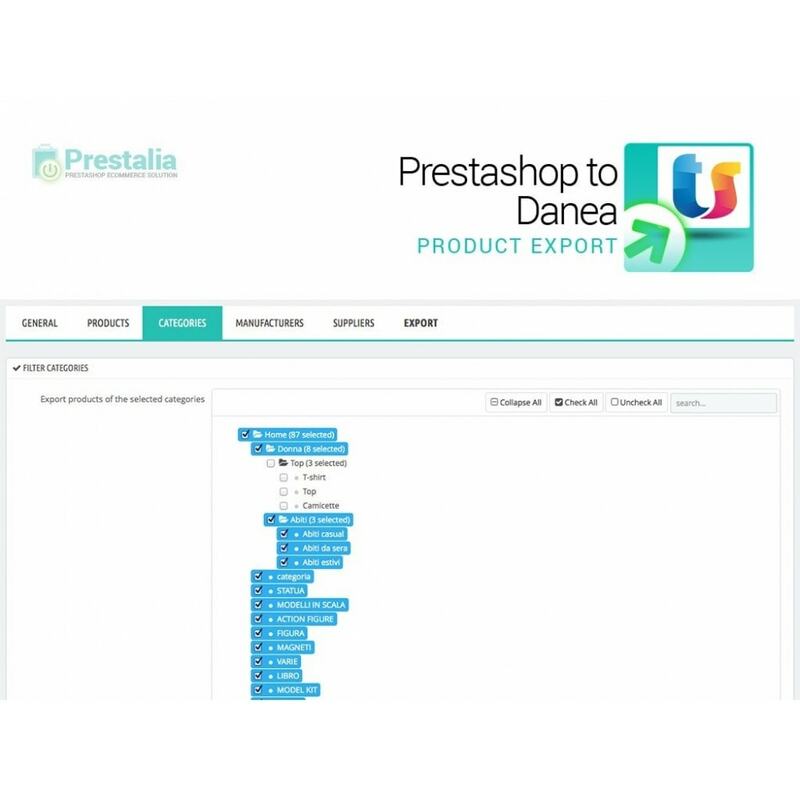 • Update directly from the native e-commerce management function or via XML files upload. 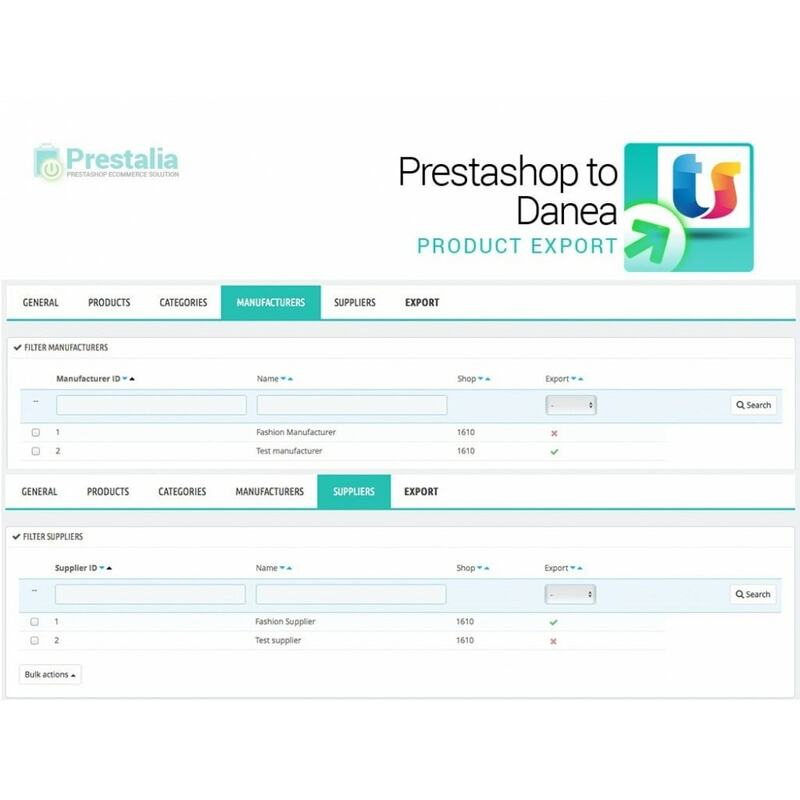 • The products must have the same product code Prestashop. 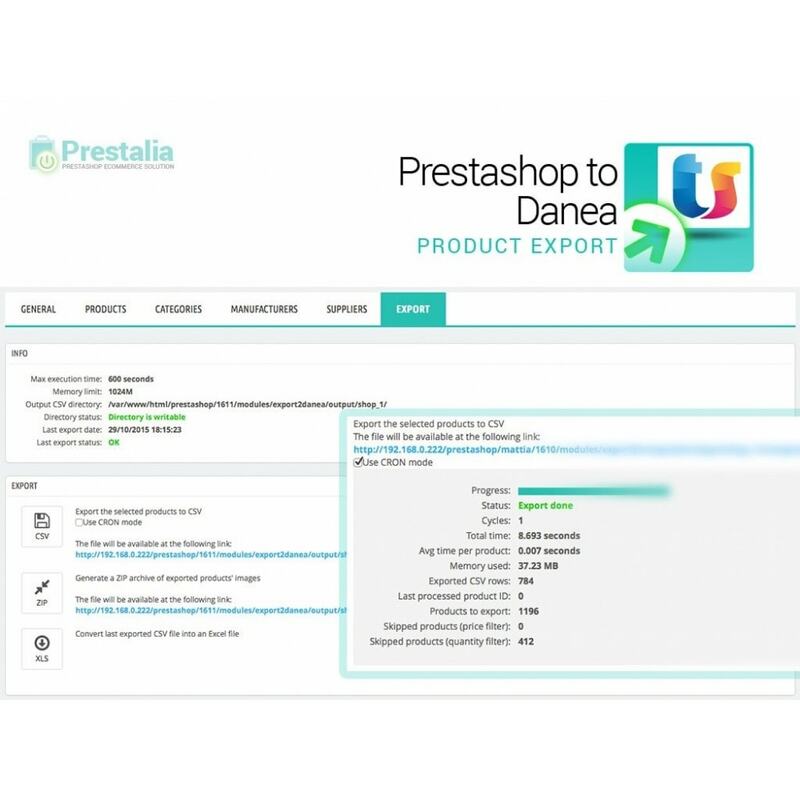 • Support to GDPR (v1.5.0+): customers not yet exported to Danea that asked to have their account deleted from your website will now be exported with data adapted to what Easyfatt software accepts. 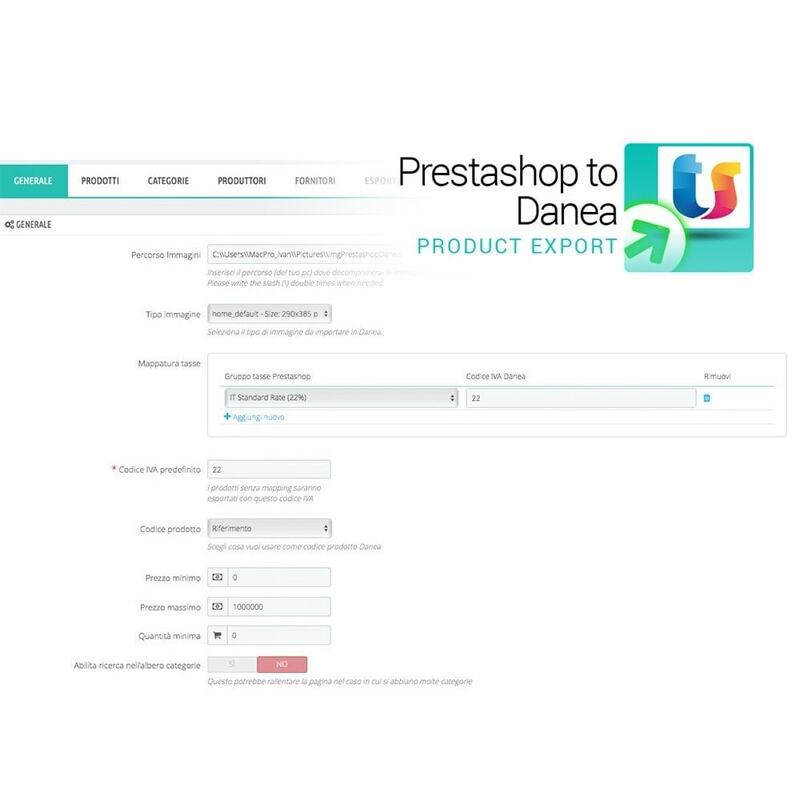 To import the products in Prestashop Danea can use our module "Export from Prestashop to Danea"
The modules are certified by Teamsystem. Tested and compatible with the synchronization module eBay - FastBay. 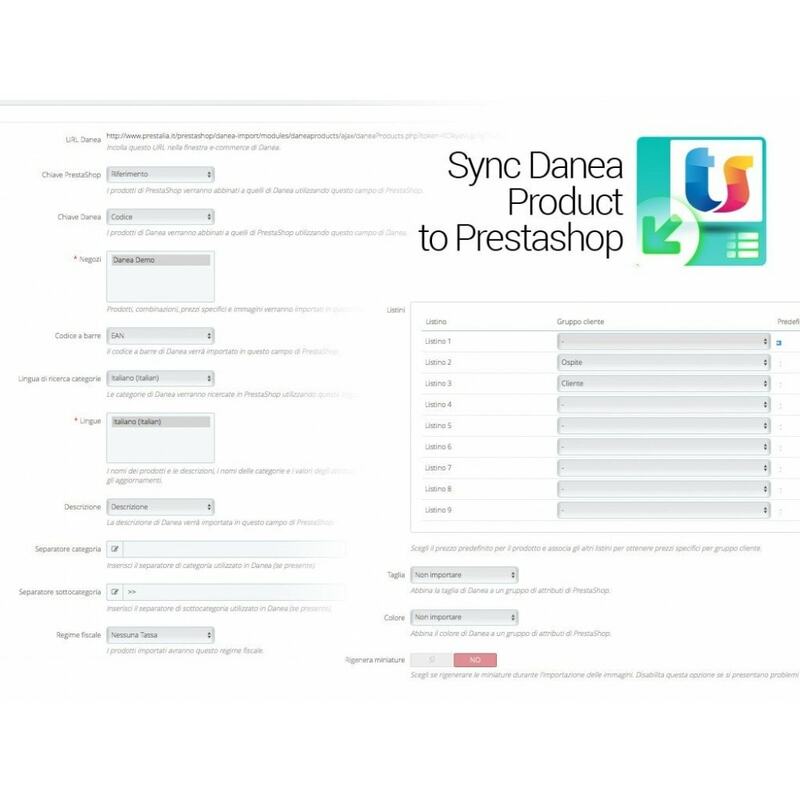 Thanks to the native communication module, the data updates received from Danea are replicated fully automatically in eBay without any intervention. 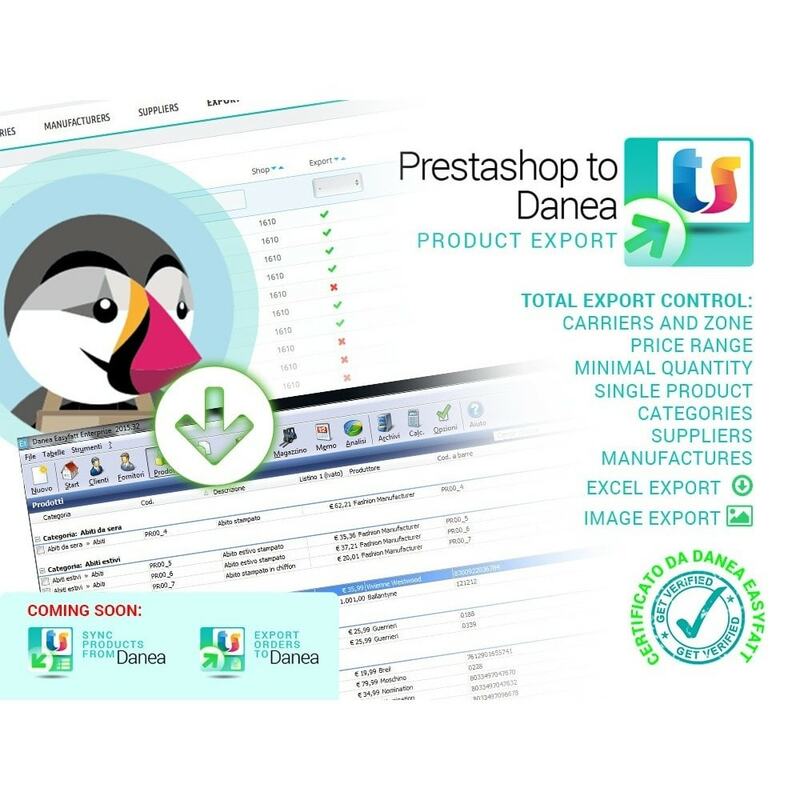 The module is compatible with Danea Easyfatt 2015 to 2018 (minimal version Easyfatt Enterprise One).